25G Switch Vs. 40G Switch: How to Make A Right Decision? 25G Switch Vs. 40G Switch: How to Choose? 25G Ethernet and 40G Ethernet are two “transiting” approaches for upgrading network from 10G to 100G. Some analysts believe 25G could be the second highest Ethernet server connectivity technology sold and shipped in the next five years, behind 10G. Meanwhile, a number of comments from industry experts declaring that 40G Ethernet is dead. Is that true? And how to make a right decision? This passage would give a brief introduction on 25G switch and 40G switch and put emphasis on 25G switch Vs. 40G switch. 25G technology is the new standard that offer significant density, cost and power benefits for server to top of rack connections. Its single higher speed 25 Gb/s lanes maximize bandwidth and switch fabric utilization. A single lane per physical port maximizes the number of connected servers or uplinks per switch. Generally, 25G switch is a 48 port switch on the 25G switch market right now. Nowadays, many major brands of switch manufactures have launched their 25G switch, such as Cisco, Juniper, Arista, Mellanox, Dell. 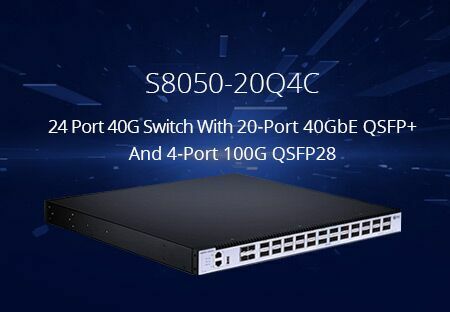 Comparing with 25G switch, 40G switch is much familiar to us. A 40G switch generally refers to the data speeds of the ports feeding into the switch. Hence, a 40G switch has 40 Gb/s ports. The overall switching capacity of the 40G switch will be much higher depending on the total number of ports and the power of the switching fabric itself. According to Infonetics Research in early 2015, 40Gb Ethernet switch has been popular in the data center market while 100G switch is more popular with service providers. And thus, 40G Ethernet and 40G switch are not so dead like being mentioned in the fast paragraph. Relatively speaking, 25G switch is less common on the market. In terms of 25G switch compatibility, that is depending the switch supplier. Just take Arista 25G switch for an example, the majority of their 25G switches and Network Interface cards offer backward compatibility to 10G, there is the flexibility to manage a gradual migration to higher speed servers and mix and match port speeds. All SFP based 25G ports on Arista switches and 25G NICs from Cavium can be used at 10G speed. The compatibility of 40G switch also depends on the switch brands. But as a new emerging technology, 25G switch has higher compatibility than 40G switch. High performance 25GbE chips use single-lane 25G serializer-deserializer (Serdes) technology similar in operation to 10GbE but delivering 2.5 times the performance, thus reducing the power and cost per gigabit significantly. 25G provides higher port and system density than a comparable 40G solution. Both power savings and higher density results in lower cooling requirements and operational expenditure for data center operators. Switch-to-server or switch-to-switch (or switch-to-blade switch) are two connection options for 25G switch connection. Right now, network vendors are positioning 25G only for switch-to-server. Until now, no network vendor advertising 25G for switch-to-switch—Cisco doesn’t even offer a 25G fiber transceiver, and HPE has priced theirs higher than 40G and 100G transceivers. In other words, no one is talking about 25G for switch-to-switch links right now. We shall see this in 2018. 25G twinax works best within a single rack with a top-of-rack switch and 1 and 2 meter cables. 25G with 3+ meter cables requires forward error correction (FEC), which adds ~250ns of one-way latency and may introduce vendor interop issues. If you’re adopting 25G, plan to densely pack compute into 10kVA–12kVA racks. 40G DAC cable is more expensive than 25G DAC cable based on the identical cable length. Through the above description and comparison, we are cleared about some pros and cons of 25Gb Ethernet switch and 40Gb Ethernet switch as well as 25G switch Vs. 40G. As for how to choose the best one, that depends on your demand and usage environment. 25G switch uses less power and produce less heat than 40G, but it is limited at 25G distance. 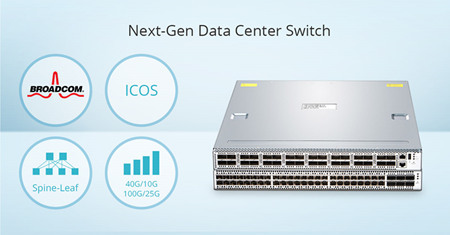 For data center network connectivity, 100G switch is more of a smart choice than 25G switch and 40G switch. In campus and access networks with their long fiber runs and low bandwidth needs, 40G switch is more worthy to buy. So far it seems that 25G switch is not a cost-effective solution.